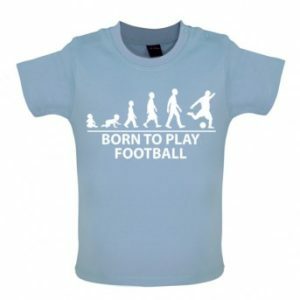 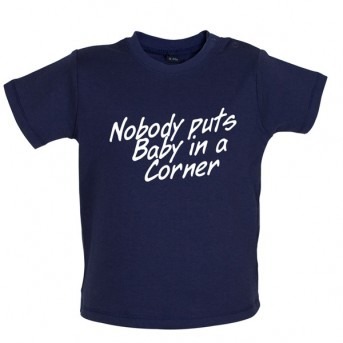 Printed baby t-shirt – 100% cotton. This ‘Nobody Puts Baby In A Corner’ design will make your little one stand out from the crowd. 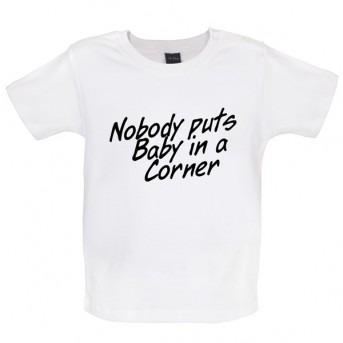 Printed on a high-quality baby t-shirt to ensure maximum comfort and includes side poppers for ease getting your little one dressed. 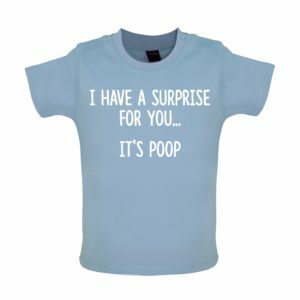 Whether you’re buying for your own little one, or as a gift for someone else, this cute baby t-shirt will be the envy of all their little friends. 2 coloured poppers at side of neck.